Episode 33 - A couple of well-respected tournaments across the PGA & European Tours the week after the U.S. Open at Shinnecock Hills. 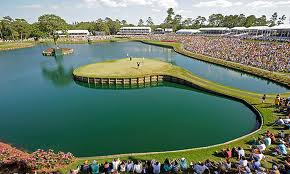 The Travelers Championship is always a popular stop-off and at the top of the market we have Justin Thomas, Rory McIlroy, Jason Day, Patrick Reed and Shinnecock champion Brooks Koepka. TPC River Highlands in Hartford, Connecticut is a stock, parkland par-70 with Bentgrass Poa Annua greens. A Pete Dye design, ball-strikers tend to dominate. In Cologne, Germany the BMW International Open attracts the likes of U.S. Open runner-up Tommy Fleetwood, Sergio Garcia, Thomas Pieters and Martin Kaymer. Golfclub Gut Lärchenhof is the perfect spot for high-class greens in regulation monsters so expect the likes of Fleetwood, Kaymer and Gagli to feature. Intro: 00:00; U.S. Open Post + Ryder Cup Chat: 02:20; BMW International Open Start: 15:09; Travelers Championship Start: 34:22.